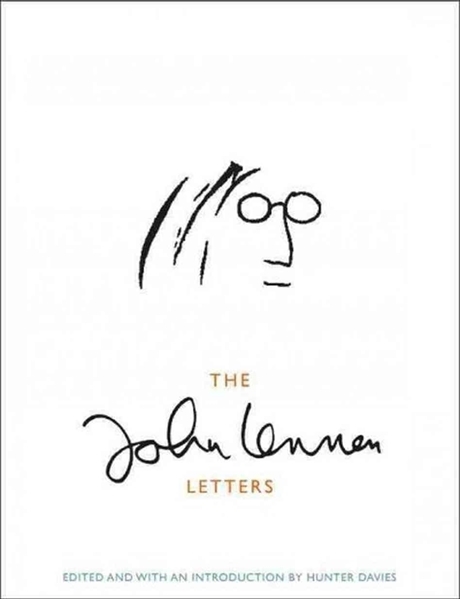 Book Review: The John Lennon Letters by Hunter Davies. Beatles Radio: The Beatles, Solos, Covers, Birthdays, News The Fab 4 and More! While vacationing with a friend in the autumn of 2012 we found ourselves, as we often do, in a bookstore. Browsing absentmindedly I came across a new Beatles book. My excitement grew as I realized it was a book dedicated to John Lennon's handwritten notes and letters edited by Hunter Davies. I rushed to the cashier to buy it without even looking at the price. There are some things that must be had. Hunter Davies, a long time Beatle biographer and friend, has painstakingly collected what seems like every scrap of paper Lennon, a compulsive writer, ever jotted something down on. From endless shopping and "honey-do" lists for house staff, long letters written to Cynthia, postcards sent to various relatives including son Julian. They are hallmarked with that familiar, almost indecipherable scribble and wandering train of thought John is famous for, and of course often accompanied by his distinctive, lazy yet somehow immensly emotive doodle. In these writings we are given an opportunity to (re) discover John. We get a glimpse of the youthful love for Cynthia intensified by separation during The Beatles sojourns to Hamburg, Germany. John's fears and insecurities that later would appear in his lyrics pour out his pen to his friend Stuart in an oft published but unsent letter. What has happened to the other letters John wrote to Stu no one seems to know. Some postcards to Julian show somewhat awkward attempts to forge a relationship after relocating to N.Y.C with Yoko in the early 70's. A bittersweet reminder of how the story ends. And there is an entire section with letters to Paul and the difficult business dealings surrounding Apple. Not particularly gripping stuff but made easier to stomach by John's ever present sarcastic wit. Contained in the volume also are some letters to fans, including the one Lennon wrote to Steve Tilston in 1971 that has recently been the basis for a movie starring Al Pacino. In the brief letter John encourages the young musician telling him "being rich doesn't change your experience in the way you think". This is not a selection for the casual fan but rather another piece of the puzzle for the die-hard. It is a very intimate look in to the private life of a man we thought we knew. At times it almost feels a little voyeuristic. I found myself yet again getting lost in Lennon, flipping through this book. I love the curve of his handwriting and the loose, natural drawings. I miss letter writing, a lost art in this age of texting and emoticons. Like his lyrics, music and voice, this is part of an extraordinary and iconic man. I highly recommend this book to any true Lennon fan who longs to uncover a new bit of the man and has an abundance of time. It is fascinating and comforting.